I can't really understand for what reason topics with russian should be closed, but ok. As Moderns classic calls "No russian". Then let's discuss in english why "directwrite" option was removed. It's very uncomfortable to use browser with smaller and uglier fonts. Hope this topic shall not be closed due to politic or national questions. That was a decision of the Chromium project, not Opera itself. Nothing Opera can do about it. First one seems better without Directwrite and the second seems better with Directwrite. As you should have read in this topic, it's a Chromium change and will affect all Chromium based browsers as long as they start using the Chromium build with the flag removed. Its simple for me, I stay with 38 version for good. Disable autoupdate is enough solution if developers force users to read so blurred text. I just cant read from the screen if browser renders fonts with directwrite. @leocg, the developer still has control. Look at Cent browser, for example. the developer still has control. Look at Cent browser, for example. Like in any open source project. However, just because you can do something doesn't mean that you should do it. Forking Chromium may bring issues and most probably will only delay the inevitable for a while. @leocg, but what are users supposed to do then, not upgrade? Fonts are critical. Maybe get a different video card or monitor in the hopes that Opera behaves better with them? I don't think so. I think this particular "fork," if that's even what it is, is important enough to do. And it's only an option, as before; it's not mandating anything. Also, doesn't Opera go its own way a lot of the time? Is it a strict Chromium/Blink clone, or are they always talking about their "contributions" to the project? A "fork" by a different name? I think this particular "fork," if that's even what it is, is important enough to do. And it's only an option, as before; it's not mandating anything. Also, doesn't Opera go its own way a lot of the time? Is it a strict Chromium/Blink clone, or are they always talking about their "contributions" to the project? A "fork" by a different name? If GDI support itself has been or is being removed from the chromium code (which is only logical if they've removed the option to select it) in support of DirectWrite, then Opera's forking chromium in future versions to support the GDI option could indeed represent a major operation - hence a major cost element. It puts Opera back into the position of supporting its own rendering engine, even if only in part. Each subsequent chromium update would have to be examined by Opera and the chromium code changes imported into the Opera chromium fork, along with Opera having to create whatever (if any) modifications needed to those updates to be compatible with the fork's codebase, then heavy Opera testing would be required to make sure nothing has been broken. Developers of a browser either must support their own rendering engine (as Opera did with Presto) or they must use intact a rendering engine supplied by an outside entity (as with chromium). If the latter path was chosen because of cost efficiency, going back to the former path abandons that cost efficiency. The price of obtaining the cost efficiency from an 'outside engine' is loss of ultimate control of the design decisions embedded in the rendering engine. but what are users supposed to do then, not upgrade? Report the problems so they can be solved. It's hard to say because we don't have enough data showing how many want an option to disable Direct write. And it's only an option, as before; it's not mandating anything. As i said once before somewhere: more options means more code and more code may lead to more bugs and difficulties in maintain the code. So they (options, features, etc) should always be discussed and investigated before being implemented. Leaving no option for users to disable DirectWrite is really strange move. DirectWrite doesn't do its work better than old font rendering technique. 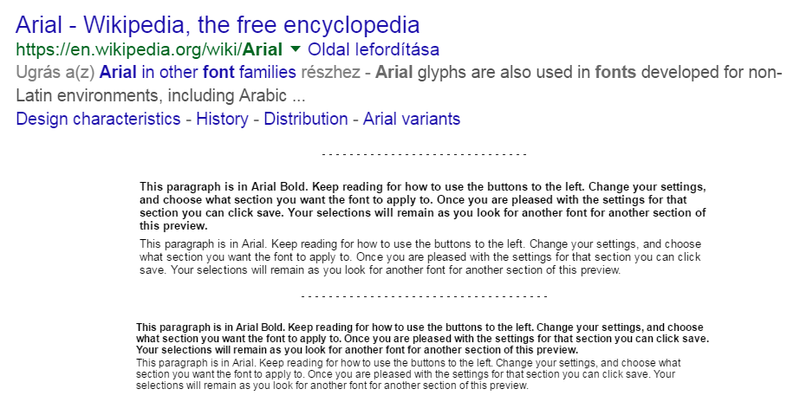 I do thinking about switching to FF, since it has better fonts. Go back disable DirectWrite - my eyes are bleeding. Until this gets sorted out, I'm staying with Opera 38. I hope Chromium restores the option or they enhance DirectWrite to look sharper with small fonts. DirectDraw has also few options of aliasing. When DirectWrite is enabled, Chrome displays more unreadable and blurry fonts in grayscale rendering. This is because DirectWrite performs much worse in grayscale anti-aliasing than the good old GDI. ClearType tuning might help but for some people it's simply not an option because it's still blurry and because of the colorspace pollution (color bleeding, fringes) it causes. 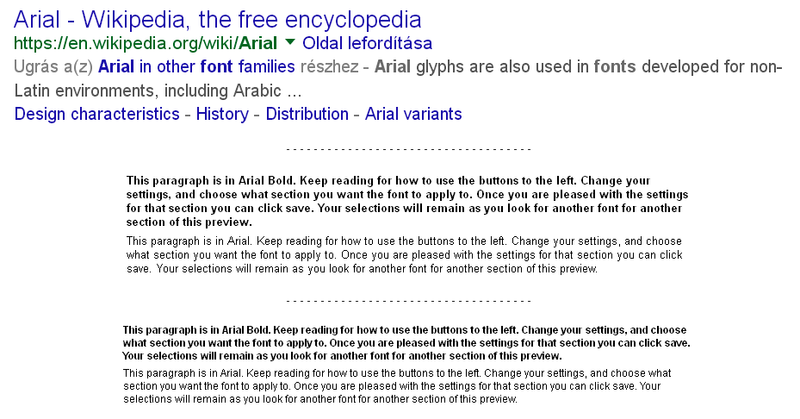 The problem is that GDI support has been removed from Chromium so we're now forced to read blurry fonts. The solution is to revert the changes that removed GDI font rendering support and add back the Disable DirectWrite flag. There is already an outrage on Google Product Forums because of the removal of GDI rendering ("Disable DirectWrite" option). A lot of people are complaining about blurry, unreadable fonts. I have created a petition and tried to raise some attention on online forums. Please sign / share / promote this petition and show Google that we are opposing the withdrawal of our freedom of choice. Please also don't forget to upvote an already existing suggestion.